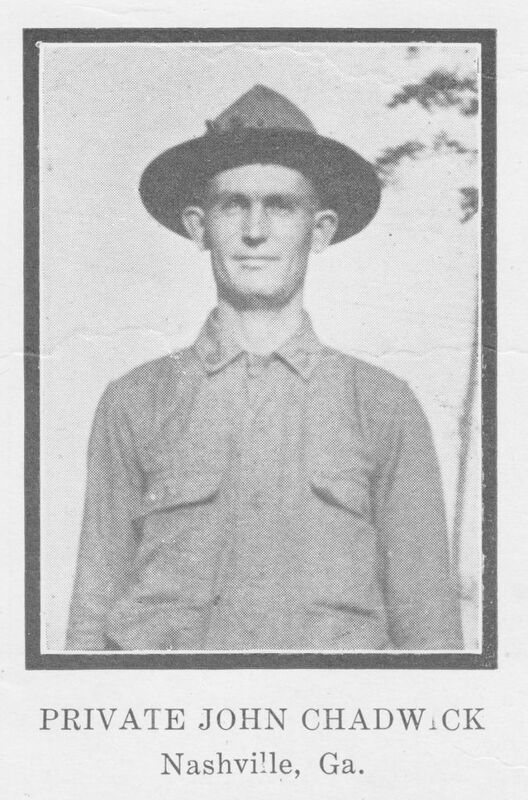 Private Davis entered service July 16, 1918. Was trained in the Infantry at Camp Wadsworth, Spartanburg, S.C. He had only been in Camp a few months when he contracted pneumonia, which resulted in his death October 12, 1918.